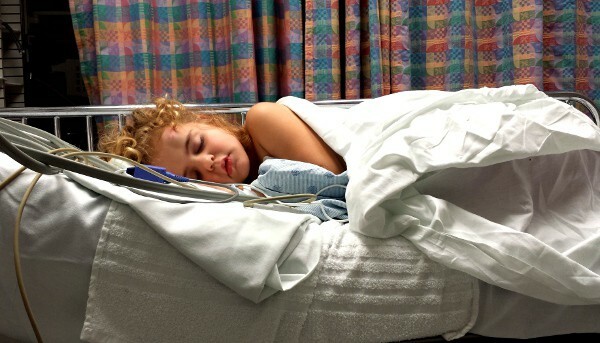 Home»All»What Pediatric Emergency Room do you recommend? What Pediatric Emergency Room do you recommend? A month ago my daughter tumbled right into a concrete park bench. It seemed minor at first, but quickly turned serious when she had a big bump on her forehead, couldn’t stay awake and was vomiting. Jump forward 5 hours and everything was okay, but at that moment, I didn’t really know what to do. Fortunately I did know from playing competitive sports that a head injury plus loss of consciousness plus vomiting meant to get to a doctor right away. It was a Sunday afternoon so we called our doctor’s answering service on the way to Urgent Care for Kids. Within 30 seconds of walking in there, they told us to get to Texas Children’s for a CT Scan. At Texas Children’s we were calmly rushed to see a team of doctors and get a CT Scan. Five hours later we walked out with a bad concussion, but to my great relief, without internal bleeding or fractures. It looks like Houston has lots of spots that specialize in emergency care for kids. Some are good for the flu and non-life-threatening injuries and others are equipped to handle the most critical issues. Note that this is for your information only. BigKidSmallCity does not provide medical advice and is not responsible for your experiences or the treatment of your injuries. With that, here are the suggestions from Houston parents! Texas Children’s Hospital – Medical Center – Feedback is that this is great for critical emergencies and there is a fast track for minor emergencies… but wait times can be long at times. Do you have more to add? Let us know! Empire Café - Our Search for Houston's Best Restaurants for Kids! I have had great experiences at Texas Children’s-West Campus in Katy as well. They don’t (or didn’t when I was there) have nearly the lines of the Med Center location. But they had all the expertise and equipment needed. We’ve been there twice, with great care both times. Hey Jill, We’ve (unfortunately!) had multiple good experiences at Kelsey Sebold on Holcombe Blvd. Once you are in the ER and need a specialist, be aware that there are private practice specialists who offer personal and prompt attention. The EER DOCS may NOT tell you this even though they are on staff. We were told that my child could get an appointment in months for seizures. A friend recommended Dr. Rotenberg and we were seen in days. Everyone is very warm and understanding. he is on staff at all the hospitals….but the ER never mentioned him. Here is his website myspecialist.clinic. But, there are private specialists in asthma and other specialties too.. Thanks Melissa. If you are in an ER ask for the PRIVATE SPECIALISTS on staff. The may not think to tell you about them for follow up. We offer medical center level specialty care that is personal, accessible and delivered by YOUR specialist. Also, many do not know that The Woman’s Hospital has an ER, pediatrics floor and a PICU. Wait time right now… 3 minutes.